London - Jamie Vardy insists Danny Drinkwater didn't snub England after his former Leicester team-mate rejected the chance of a call-up for the national team's current friendlies. Drinkwater was accused of letting down England boss Gareth Southgate last week when he pulled out of the squad for the fixtures against Germany and Brazil. The Chelsea midfielder said he did not feel fully fit after struggling to recover from the calf problem that has marred the start of his time with the Premier League champions. It is not the first time Drinkwater has pulled out of England duty and his commitment to the cause has been questioned in some quarters. But Vardy, who won the Premier League title with Drinkwater at Leicester two years ago, is adamant the 27-year-old is still desperate to play for England. "I think he definitely wants to play for his country but, to be honest, he has been struggling to get a bit of match-time," Vardy said. "He was injured and he needs to get the match sharpness back. He has been doing that in recent weeks for Chelsea and he needs to keep building that up. "He definitely has a chance of getting into the squad when he is fit. If he is playing the best he can then why not? "He should be in with a shot but it is down to him to make sure he puts the performances in." Drinkwater is reported to be frustrated that his decision to miss the friendlies has been seen as a snub and he plans on proving he can win back his place in time for next year's World Cup in Russia. 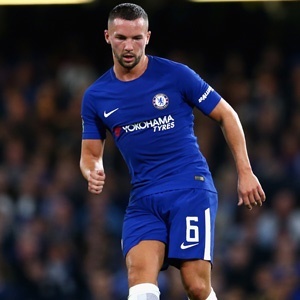 Drinkwater, who joined Chelsea for 35 million in late August, has made only two substitute appearances in the Premier League. He is receiving more treatment after aggravating the calf problem when he came on as a substitute in Chelsea's win over Manchester United on November 5. In Drinkwater's absence, Ruben Loftus-Cheek impressed in midfield as England drew 0-0 with world champions Germany on Friday. Southgate's men face Brazil at Wembley on Tuesday and Vardy hopes they can maintain the momentum from the positive display against the Germans. Despite fielding a young team including debutants Loftus-Cheek, Tammy Abraham and Jordan Pickford, England weren't overwhelmed by top-class opposition. The encouraging effort was a far cry from England's woeful exit from Euro 2016 against Iceland under former boss Roy Hodgson. "I think we have definitely got to learn from that," Vardy said. "There was not really a change of plan in the Iceland game and it was just a case of hoping we got back into it. "But I think we saw against Germany that, with a different formation, it worked."